The Solo Exhibition is to include your winning artwork and some of your other artworks or new works specially made for your show, curated with the organisers. The Ashurst Emerging Artist Prize 2016 will be awarded to artists that show significant potential, interesting ideas and a relevant message. We understand that talented artists exist in many forms, so endeavour to appeal to emerging artists of all ages and career paths, whether student, graduate, full-time or part-time, and from any country. The Judging Panel reflects a range of expertise and tastes, so as a group will effectively identify the best entries. Ashurst's aim in sponsoring The Prize and Emerging Artist Programme is to find and build the careers of emerging talented artists and get their work seen by a wider audience. The £3,500 prize and the solo exhibition in the Ashurst Emerging Artists Gallery will be awarded by the Judging Panel. In addition, employees of Ashurst from around the world (based in 28 offices, throughout 16 countries) will be invited to vote for the winner of the Employee Choice Award, consisting of a £1,750 prize and a solo exhibition in the Ashurst London HQ. NEW ADDITIONAL PRIZE: The £1,250 prize and exhibition in the Ashurst London HQ will be awarded to a sculptor by the Judging Panel. The prize is supported by Cass Art who are giving a £500 voucher to spend on art supplies, and £250 for the other prizes. Entries will be assessed on a variety of criteria and not necessarily on the tastes of individual judges. Our main aim is to find artists with the most potential, who show interesting ideas and have a relevant message. Early entries have the chance to be featured in our advertising campaigns to our large audiences. 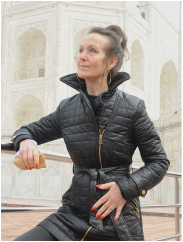 An expert in emerging art, having started Oaktree & Tiger Gallery in South Kensington to launch a diverse selection of emerging artists, organising exhibits and placing their artworks with private clients around the world. Conrad has also given lectures at Sotheby's Institute of Art and University of the Arts London, and various talks on art. He is currently advising artists on promoting their own work to gain new collectors and attract gallery representation. 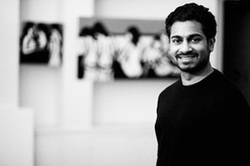 He works on a variety of art products and places carefully chosen emerging artists in a variety of projects and spaces, including corporate and commercial spaces. 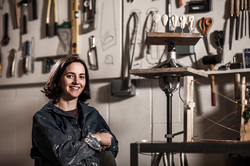 Briony Marshall is a London based sculptor and installation artist, Council Member of the Royal British Society of Sculptors and Head of Professional Development of The Art Academy. With a background in Biochemistry Briony Marshall is interested in the idea of art practice as research. She fuses an intellectual/conceptual approach with an intuitive, materials inspired process to develop sculptures that investigate the natural world and man’s place in it. Briony has exhibited widely, has been selected for residencies at Pangolin London and in Pietrasanta Italy, has been named one of the Royal Society of Chemistry’s ‘175 faces of Chemisty’ and was recently shortlisted for the prestigious First@108 Public Art Award. She is also very involved in both mentoring and peer mentoring of emerging artists, including for the highly competitive Royal British Society of Sculptor’s Bursary award. You can see more at www.briony.com and www.rbs.org.uk. Director of the Schorr Collection, a collection of 400-plus artworks, predominantly Old Masters acquired over four decades. 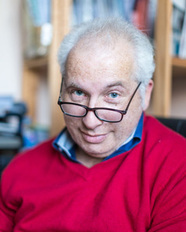 Howard currently spends his time managing the collection and the numerous long term loans to institutions in the UK, US and beyond, including the Bodleian Library at Oxford University and The Walker Gallery in Liverpool. You can see more at www.schorrcollection.org.uk. An Argentinian, self-taught, self-represented artist who also works in Ashurst's Madrid office. She has experimented with various mediums, including oils and acrylics, and sculpture. 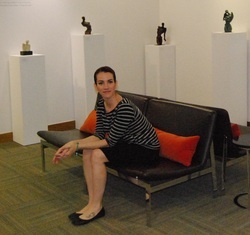 She found great success with her sculpture collection after her exhibition in the Ashurst Emerging Artist Gallery. You can see more at www.barbaracevasco.com and can view her exhibition catalogue here. Art historian, author and Programme Director at Sotheby's Institute of Art, the leading school in art business education. 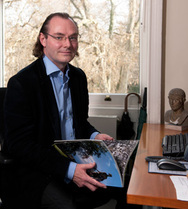 David also lectures on Classical Art and Architecture, holds a special honours degree in Latin and Classical Archaeology, and a doctorate for his thesis on the cultural and socio-economic aspects of sympotic scenes in ancient Roman and Pompeian wall-painting. You can see more at www.sothebysinstitute.com. 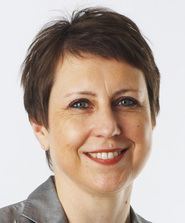 Anna is a finance partner in Ashurst's London office, specialising in international Debt Capital Markets transactions. Over the years, Anna has enjoyed spearheading a number of initiatives that bridge the gap between the different worlds of Corporate and Art. This has been possible through collaboration with organisations such as Love Art London and The Old Vic. Anna is very much looking forward to being a member of the Judging Panel for Ashurst's Emerging Artists competition in Spring 2016. An artist working in watercolour and collage, a member of The Royal Institute of Painters in Water Colours and a Director of the Society of Women Artists. She has exhibited throughout the UK, including the Royal Academy in London and won a variety of awards. You can see some of her work at www.rosasepple.com. The competition consists of two stages. Stage 1: Entered via the online form here. Deadline is 14th February 2016. Shortlisted artworks will be announced in the end of February 2016, following which the artists will be invited to send the original artworks to the Ashurst London HQ for exhibiting in April to June 2016, and final judging. Stage 2: Judging will take place and the winners announced in early June 2016. Shortlisted artworks will be available for collection in July 2016, and the winners will be invited to curate, with the support of the organisers, an exhibition of their artworks in the Ashurst Emerging Artists Gallery and HQ for July to September 2016. 11th Oct 2016: Open for Entries via the online form here. 14th Feb 2016: Closing Date for Entries. End of Feb 2016: Those Shortlisted in Stage 1 will be announced and invited to send in the original artworks to the Ashurst London HQ. 14th - 27th Mar 2016: Shortlisted entries to deliver the original artworks to the Ashurst London offices. Apr - Jun 2016: Shortlisted entries will be exhibited in the Ashurst Emerging Artists Gallery and HQ for final judging. Early Jun 2016: Prize winners will be announced. 4th - 17th Jul 2016: Shortlisted artworks to be collected from the Gallery. Jul - Sep 2016: Winners will curate an exhibition in the Gallery and HQ. 3rd - 16th Oct 2016: Winners to collect artworks from the Gallery. (1) There is no restriction on the artist regarding age, training or nationality. (2) The artist must not have exclusive representation. (3) Artwork size must be less than 275cm x 275cm x 50cm for artworks to be hung on the wall, and less than 275cm x 275cm x 200cm for sculptures. If you are unsure, please contact us. (4) Once you have completed the online entry form, you will be sent to the payment page to pay the entry fee. Please select the correct payment option and enter your name in the notes. (5) Entry Fee is £20 for first artwork, then £10 per additional artwork, up to a maximum 9 artworks. (6) Further details are in the Terms and Conditions page here.